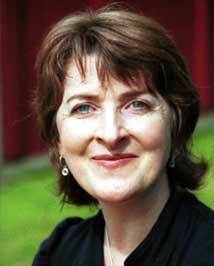 Janice Galloway was born in Kilwinning, Ayrshire. Her writing tackles the patriarchal hierarchies and ingrained taboos of contemporary Scottish society. Her readers are taken on a painful journey into new awareness as, with linguistic panache, she challenges received opinion, taking a scalpel to the tissue of social cliché that stifles independence of thought and action. Her way with words is radical and exciting. She is an existential geographer, charting the inchoate territory that lies between inner voice and spoken word, between internal landscape and external reality. While her subject matter is frequently disturbing, despair is kept at bay. 'The Trick is to Keep Breathing' is a sometimes terrifying evocation of mental illness; 'Foreign Parts' presents the riches, the humour – and the shadow – potential in friendship between women; the short story collections 'Blood and Where You Find It' deal with repression and chauvinism. Janice Galloway's feminist perspective is creative and without bitterness. An opera based on the life of Mary Shelley, created in collaboration with composer Sally Beamish, was premiered in spring 2001.